When watching the young Ulsterman in action, many golf fans must wonder if Rory McIlroy’s golf clubs have been blessed by the golfing gods. He may have lost in the final of the Accenture World Matchplay to stoic American star Hunter Mahan and forget the frenzy surrounding Rory McIlroy’s new 3-wood (incidentally, it looks from early pictures simply like an slightly updated version of his faithful old Titleist 306 F2) earlier in the day it was the Ulsterman’s inspiring come-from-behind victory over former World Number One Lee Westwood was arguably the highlight of what has been a hard fought competition. It is fair to say that McIlroy cruised into his semi-final with the Englishman without playing his very best golf, but against Westwood he was forced to dig deep after a start that saw him three down inside the space of the first five holes. When Does a Golf Slice and Hook Become a Professional Golf Fade? Golf never ceases to amaze and enlighten me. Whether it is watching professionals expertly dissect a course that mere mortal golfers would struggle to get round in under three figures, learning about aspects of the game, or reading quotations from the great and good, it always hits home how golf is a game of endless fascination. I am always reminded on such occasions that this is a game that no matter how hard I try to understand and control it, it will always eventually get the better of me. 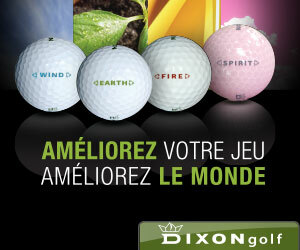 It is not just in terms of playing a round that this is the case, but also in considering other aspects of the game. A good example of this is in the teaching and observation of lower ability amateur golf players, when compared to seasoned professionals and low-handicappers. 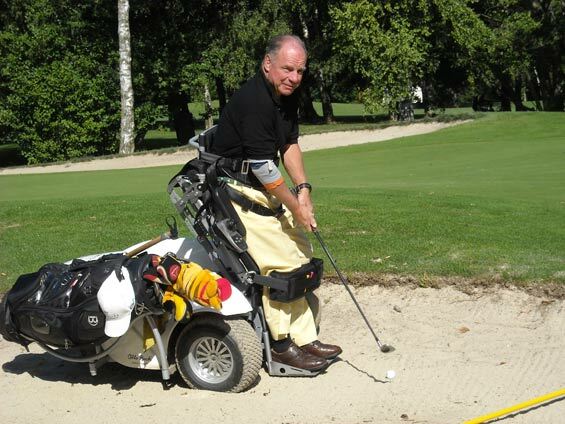 How Many Disabled Golfers are out There and Where do They Play? In recent times we have run several articles about disabled golf, but to put those articles into context, what kind of numbers are we talking about when it comes to disabled golfers? Where do they play and who does the typical disabled golfer play with? To answer the question of how many disabled people play golf isn’t a particularly easy task and this is because of the number of different sources each reporting a different figure and this is because the term “disability” means something different all over the world and finding a universal definition of what constitutes a disability isn’t easy. 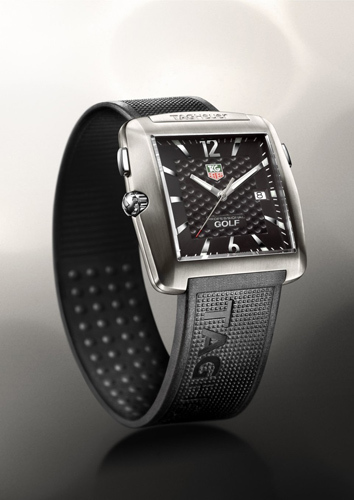 For years golf experts would advise against wearing a watch on the green but TAG Heuer has bent the rules. Golfers would normally avoid wearing a watch because of comfort factors such as the extra weight on the wrist that can interfere with the precision of the golfer’s swing, the clasp and folding buckle that can hurt the wrist, and lastly because the watches can be damaged by the repetitive and forceful shocks generated by every golf swing. Beginning in 2005, TAG Heuer collaborated with Tiger Woods and with his expertise and knowledge of the game, fused sports and style into the world’s first golf watch for professional golfers. Blind golf is a very popular sport, yet at first it seems almost impossible for a blind person to play the game. Yet despite their obvious disability, there are many outstanding blind golfers playing the game across the globe, the question is, how are they able to play golf, if they can’t see the ball they are hitting, or where they are hitting it to? B1 – No light perception in either eye, or slight light perception but unable to recognise the shape of a hand at any distance, or in any direction. B2 – Can recognise the shape of a hand but has visual acuity of 2/60 and a visual field of less than 5 degrees. 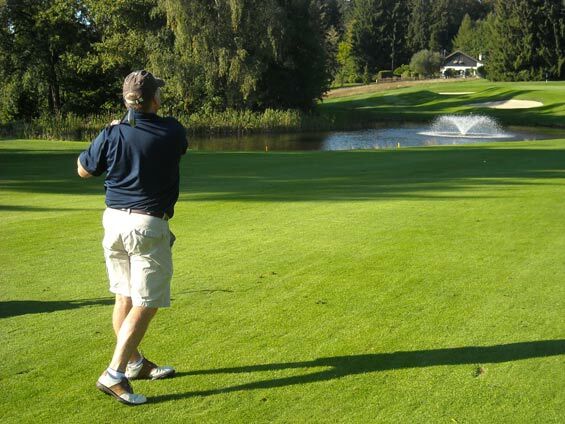 While blind golfers of all categories can play with each other, blind golf tournaments often have ‘category winners’ as well as, or in place of, an overall winner. Now that we understand how tournaments are organised, let’s discover how blind people actually play the game on a typical round of golf. 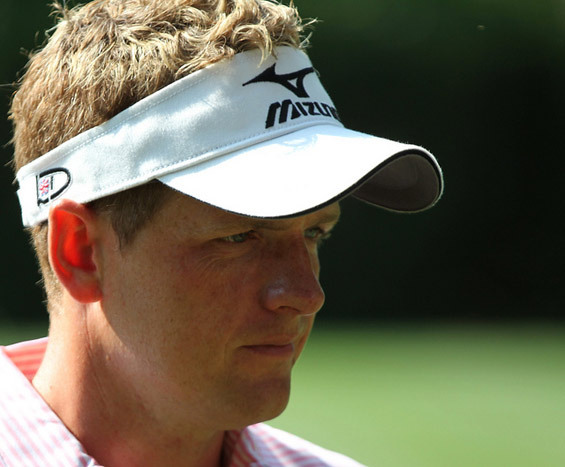 For Luke Donald, 2011 was almost a perfect year. Not only did he become the first golfer ever to win both the European PGA and USPGA Tour money titles in the same year, he cemented his position as world number one with a season of unerring consistency that has seen him rightfully acclaimed as currently the world’s best golfer. Indeed, the only way Donald could have improved on this momentous year would have been to have added a major title to his collection of victories. With the 2012 season just gearing up and professional golfers starting to get their swing into shape for the first major of the year this April at Augusta, Donald will no doubt be itching to finally put that right. 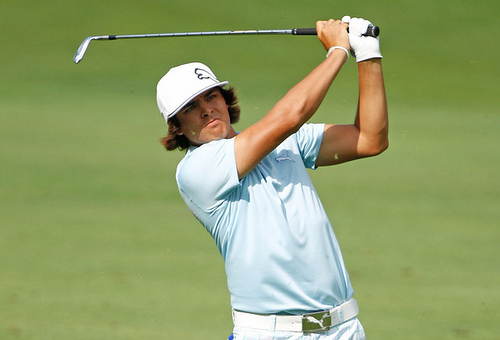 The graduate of Oklahoma State University may be famous for his bright orange outfits reminiscent of his alma mater jersies, but Rickie Fowler is also one of American golf’s most exciting young golfing talents. Perhaps most remarkable, is that the Californian is almost entirely self-taught. His time spent practising alone on the range paid dividends as his natural talent shone through at high school and at OSU. As an amateur he appeared in two Walker Cup events, turning professional after the second of these in 2009. 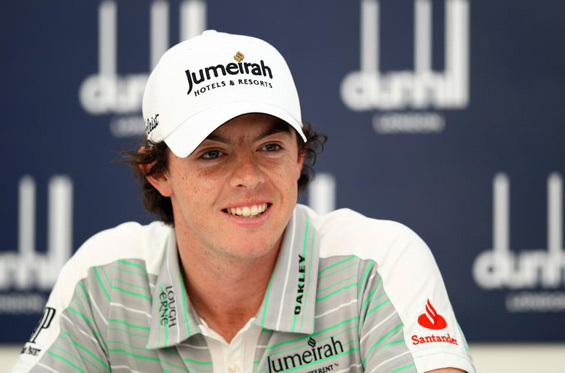 He quickly joined the pro ranks signing deals with Puma (clothing) and Titleist (clubs and balls). His exciting style of play, never say die attitude, and competitive spirit have already earmarked him as a future great.